The Sunday Independent reported today that an invitation for Children’s Minister Katherine Zappone to appear on Tv3 show The Restaurant next year had been withdrawn. THE COMMUNICATIONS MINISTER has said he will be asking the broadcasting authority to provide clarity to over referenda coverage after the Children’s Minister was axed from appearing on a popular cooking show. 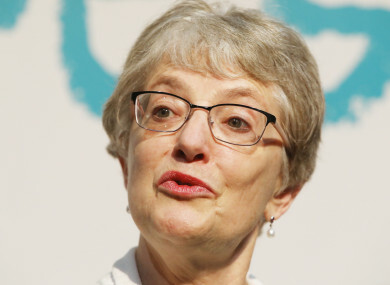 According to the article, Vision Independent Productions – which produces the programme for Tv3 – decided to drop Zappone due to concerns around the upcoming referendum on the Eighth Amendment. The referendum around Ireland’s abortion laws is due to be held in the first six months of 2018, and producers were worried that Zappone’s role in it could lead to her episode not being aired. The BAI has strict rules during referendums about equal and balanced coverage being given to all sides of the debate. Commenting on Twitter, Zappone said she was “disappointed” with the decision. “Disappointed producers of TV’s The Restaurant withdrew invite to take part because of fears show would not be aired during #repealthe8th debate,” she said. Following on from the article, Communications Minister Denis Naughten said he would be asking the BAI to provide clarity and guidelines to broadcasters on coverage of referendums. The Restaurant is a popular TV3 production which features a different celebrity or notable personality cooking for a restaurant full of people each week and getting their service rated by judges. Email “Clarity sought from BAI after reports Zappone pulled from show over referendum fears”. Feedback on “Clarity sought from BAI after reports Zappone pulled from show over referendum fears”.